How does a social media startup not just survive, but continue to grow in the current economic conditions? Carol Leaman, the CEO of AideRSS, the company behind PostRank, will tell us how when she appears at Third Tuesday Toronto on February 17. AideRSS is an interesting company, both for its innovative PostRank approach to measuring engagement with social media and for the fact that it continues an aggressive growth strategy at a time when others are hoping merely to survive. And with its recent second round financing announcement, it appears to have adequate runway to achieve its objectives. AideRSS recently announced that it is expanding its PostRank service to offer feed analytics for online content publishers. That’s the all-important data that online publishers use to gain insight into how their RSS feeds are being received and used. The stuff that traditional Web Analytics can’t give you. Taking on Google. That’s not something for the timid. AideRSS’ development is being masterminded by CEO Carol Leaman and co-founder and Chief Technology Officer Ilya Grigorik. Last Autumn, Ilya, along with AideRSS’ VP Development Jim Murphy and Community Manager Melanie Baker, told Third Tuesday about how the company is developing its core PostRank technology and building a community around it. On February 17, Carol will provide the business perspective on the PostRank story. What does it take for a startup to survive and thrive in this environment? What does it take to nail down a second round of funding when investors are running for the hills? 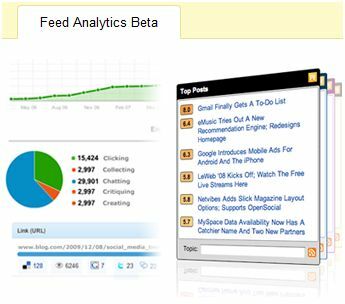 How does a company build a business around social media and feed analytics? So, if you’re interested in gaining some insight into how a company can find an opportunity in social media, develop a technology that meets a real need and and monetize it, this should be an interesting session. You can register to attend on the Third Tuesday Toronto meetup site. As always over the past two years, thanks are due to our national sponsor, CNWGroup, whose support keeps Third Tuesday a free community-based event. Since launching in July 2007, AideRSS has been well reviewed, attracted venture capital and evolved from founders’ dream into a professionally managed company. During my recent visit to the offices of AideRSS, both Co-Founder and Chief Technology Officer Ilya Grigorik and recently-appointed CEO Carol Leaman sat down to talk with me about the company’s journey from an idea to a venture-funded enterprise. As I reviewed the recordings of these interviews, I was struck by how different Ilya and Carol are. Ilya is the quintessential techno-enthusiast. His enthusiasm for the original idea and the pursuit of the next innovation is almost palpable. Carol is the rationalist. Polished. Bottom line oriented. Two very different people. Yet, they complement one another. Hmmm. A smart pairing brought about by smart money? “What’s behind the system is highly complex, but people won’t use it unless it’s extremely simple” to use.